As part of last week’s Indie Author Fringe conference our speakers offered free downloads and giveaways to our Fringe attendees who entered. All winners have been notified and you can see who won each giveaway by visiting the session pages and checking out the published names on the giveaway widget on the bottom of each session page. Although the speaker giveaways are over there is still time to take advantage of our Sponsor promotions, so before these opportunities expire why not take advantage of these cost saving and educational offers. 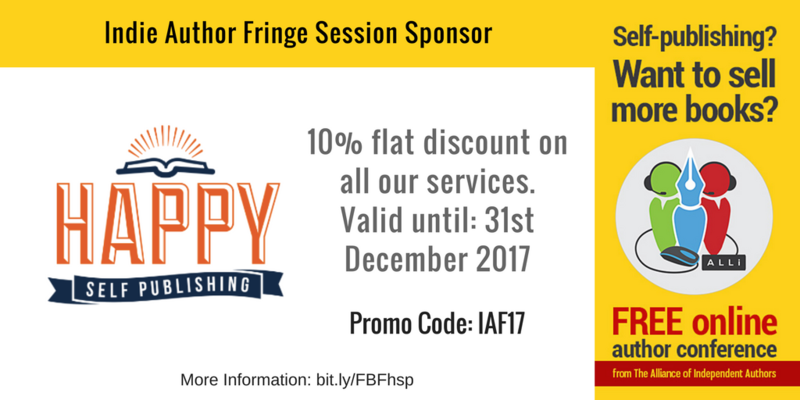 In celebration of Ingram Spark’s Gold Sponsorship at Indie Author Fringe they are offering to waive all setup costs on new titles. Happy Self Publishing and they’re offering a 10% discount on their author services. You can sign up to attend a free webinar they’re hosting about How to Self-Publish your first book, and also Schedule a free Book Breakthrough Session with Jyotsna Ramachandran, founder of Happy Self Publishing, to discover strategies to grow your business using your book. 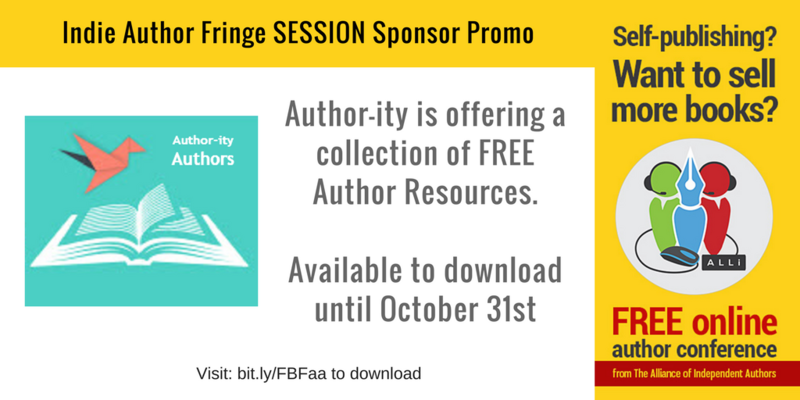 Author-ity is offering free Author resource downloads until October 31st, which includes “Idea to Authority Marketing Map” and a “Book Production Checklist”. 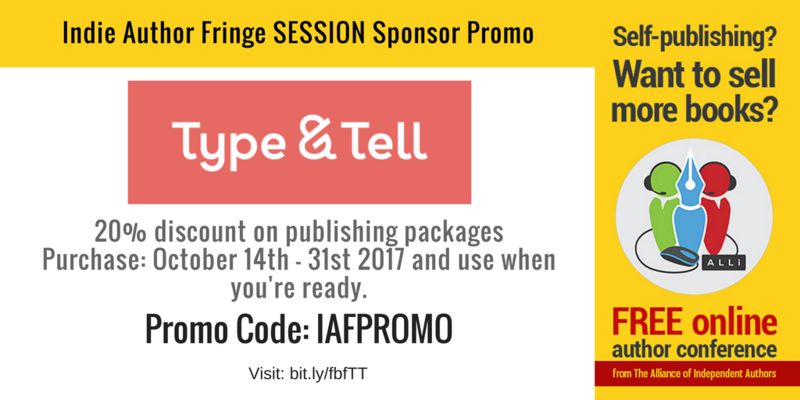 Try their online writing and typesetting platform for free at www.typeandtell.com and when you’re ready to publish, enjoy an exclusive 20% discount on our publishing packages for IAF attendees for the rest of the month. Just enter promo code IAFPROMO when buying your package. Once you’ve purchased your package, you can make use of the services whenever you are ready. 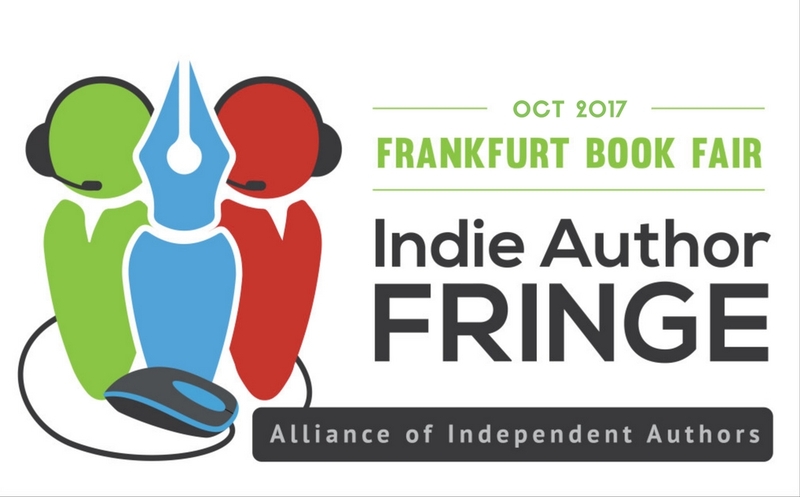 That’s the end of our Indie Author Fringe conferences for 2017, but we’ll be back next year hosting a Fringe event to the London Book Fair on April 14th 2018. 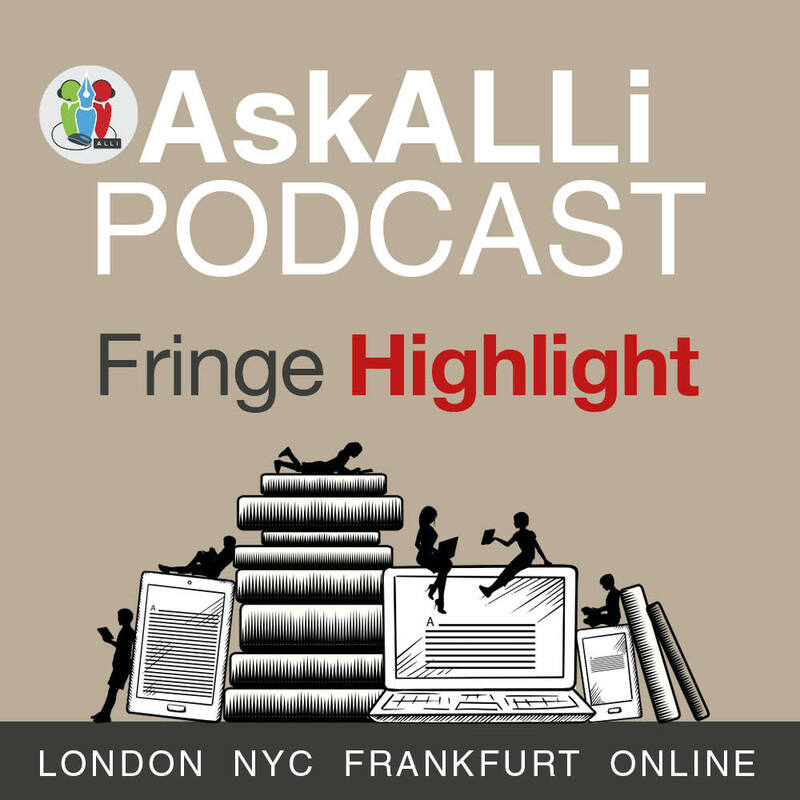 Make sure you don’t miss any updates by signing up to our Indie Author Fringe newsletter. 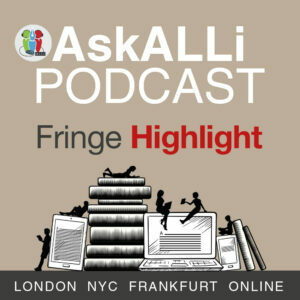 Each month we release Indie Author Fringe session highlights on our #AskALLi podcast. This is a great opportunity to catch up with popular sessions you missed and listen to them on your favorite podcast streaming service.